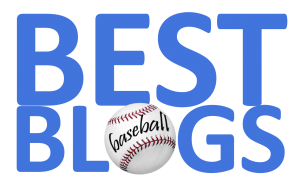 Early voting in our latest FenwayNation Poll shows that a plurality of readers (34%) think the Red Sox will prevail in the upcoming American League Championship Series in seven games. 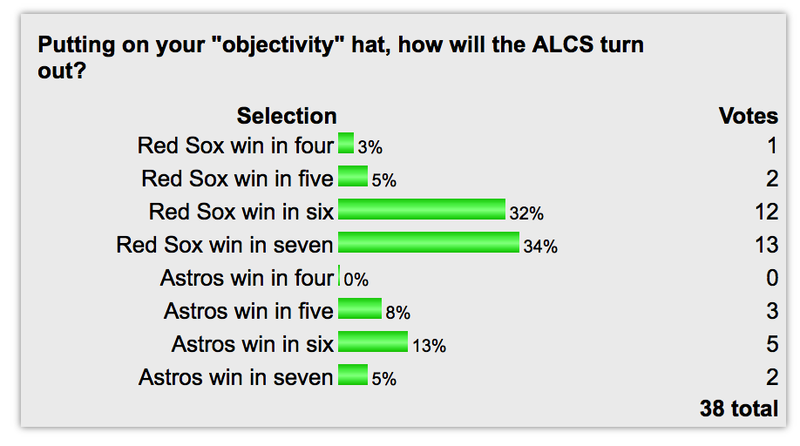 As the chart shows, almost as many readers (32%) believe Boston will win the ALCS in six games, while 5% think they'll advance to the World Series in five games. Just 3% think The Carmine Hose will sweep the Astros in four games. On the flip side, 13% believe Houston will take the series in six games, while another 8% believe the defensing World Champs will beat Boston in five games. A total of only 5% see an Astros win in seven games. 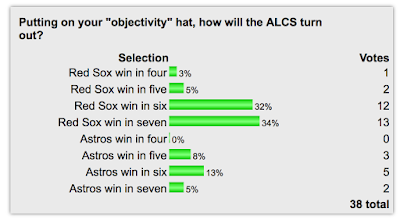 No voters have yet selected an Astro sweep in four games. Taken together, a total of 74% think Boston will win in some fashion, while a total of 26% feel the same about Houston prevailing in the series. You can still vote in the poll HERE.